WASHINGTON, DC, May 6, 2013 (ENS) – The British oil company BP has agreed to pay $600 million to cover 28 early restoration projects in the Gulf Coast states damaged by the massive 2010 Deepwater Horizon spill. In a preliminary agreement reached with the Deepwater Horizon Oil Spill Natural Resource Damage Assessment Trustees, the company will pay for the 28 projects in Texas, Louisiana, Mississippi, Alabama, and Florida. 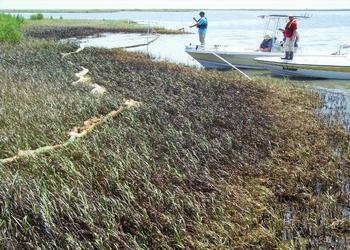 These projects will restore marshes, barrier islands, dunes and near shore marine environments. This funding is part of a previous agreement with BP to provide $1 billion for restoration prior to completion of the damage assessment process. 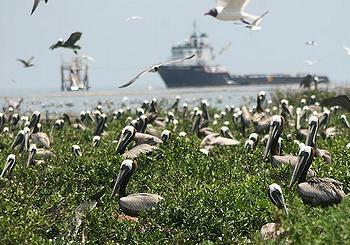 The 28 projects announced today are in addition to 10 initial early restoration projects begun in 2012 that are expected to cost about $71 million and further barrier islands restoration projects in Louisiana. “The Department of the Interior is pleased the Trustees are moving forward with planning and public review of this proposed suite of early restoration projects,” said Rachel Jacobson, acting assistant secretary for Fish and Wildlife and Parks at the Department of the Interior. The Department of the Interior is backing proposals for $15 million in restoration work to address injuries at Gulf Islands National Seashore in Florida, and $72 million to address injuries at Breton National Wildlife Refuge. The Gulf Island National Seashore proposal involves removal of tens of thousands of cubic yards of asphalt fragments and road base material that were scattered over 11 miles of the Fort Pickens and the Santa Rosa areas of Gulf Island National Seashore. The estimated cost of this project is approximately $11 million. Another $4 million is proposed to cover the purchase of two ferry boats for use in a new ferry service to the Gulf Island National Seashore. These projects are part of a $58 million proposal made by the Trustees for early restoration projects in Florida. 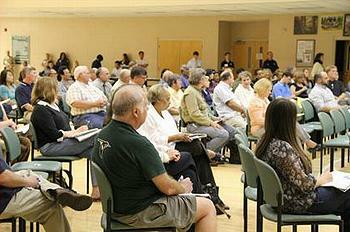 The next set of projects proposed for early restoration includes many of the proposals that citizens have been suggesting, such as oyster and scallop restoration, seagrass restoration, artificial reefs, living shorelines, recreational beach restoration, state park improvements, and a hatchery project which will help restore the fisheries in north Florida, said the governor. In Louisiana, the Breton Island National Wildlife Refuge proposal includes $72 million to restore the refuge and is part of a broader early restoration for four of the state’s barrier islands. On April 30, BP agreed to fund $340 million in Louisiana for the restoration of four barrier islands two fish stock research and enhancement centers. Breton Island Component, which is on the east bank of Plaquemines Parish in the Breton Sound. While the project configuration is being finalized, this $72 million component will restore and protect beach, marsh, and dune in the Breton Wildlife Refuge. Established in 1904, Breton Island is the second oldest National Wildlife Refuge in the United States. It was among the first terrestrial habitats to be oiled during the BP spill because of its location along the outer coast. Caillou Lake Headlands Component, which is also known as Whiskey Island, in Terrebonne Parish. This $110 million component will restore beaches, dunes and back-barrier marshes. Cheniere Ronquille Component, which is on the west bank of Plaquemines Parish in Barataria Bay. This $35 million component will construct beaches, dunes and back-barrier marshes. Shell Island Component, which is on the west bank of Plaquemines Parish in Barataria Bay. This $101 million component will restore back-barrier marsh and dunes and beach on the east and west lobes. This investment also is part of the $1 billion that BP agreed to contribute for the early restoration of damaged natural resources. This $340 million represents the largest single component of restoration projects across the Gulf that BP has ever approved. Overall, Louisiana is receiving $370 million in projects approved so far through the early restoration process. “We have seen impacts on our coast and erosion rates have increased in some areas; oyster production has dropped; shrimp, tuna, and mahi mahi reproduction rates appear to be lower; and marine mammals are experiencing one of the worst death rates ever. That’s why it’s critical BP live up to their promise to make this right,” said Jindal. In total, the four projects will create thousands of acres of dune and marsh, and restore miles of Louisiana’s barrier island beaches. Information about the 28 projects, as well as notification of public meeting times, dates and locations will be made public as soon as that information becomes available on the Trustees’ website, www.gulfspillrestoration.noaa.gov. Information on the progress of early restoration projects is periodically updated on the Trustees’ interactive atlas, which allows for viewing, searching, and sorting of the projects.